As temperatures start to rise and sunshine spills in through the windows of our offices, I know I can’t be the only one thinking about skipping town. Now that we are in the thick of summer, many of us are discussing our travel plans. According to a report by the US Travel Association, nearly 2.1 billion business and leisure trips were taken in last year in the US alone. That’s why our theme for the month of July is TRAVEL! Throughout the month, you’ll see vizzes about flying and lodging, destinations, and tips about how to make your own travel vizzes. Speaking of, if you have or make a great travel viz, be sure to email it to us. We’d love to consider it for Viz of the Day this month! I’m quite proud of the fact that I’ve been to a music festival every month since this past February and I’d love to keep up the streak. 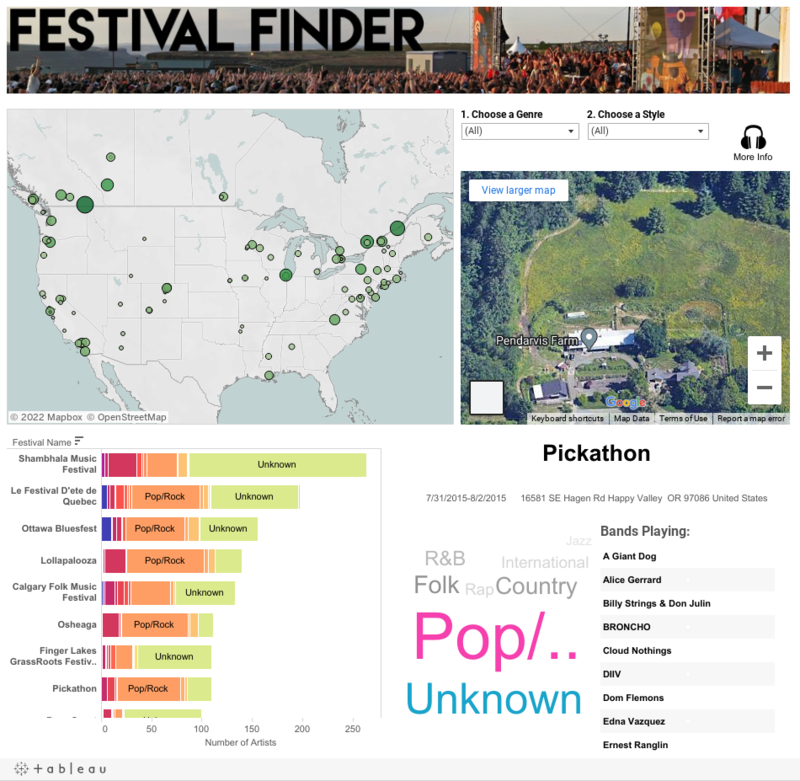 To help me find the perfect festival for me, I’ve created this viz about upcoming music festivals.The festival data all comes from jambase.com, a great database and source for information about upcoming live music in North America. I used import.io to scrape over 250 festivals for their locations, dates, and which artists are playing there. There ended up being just over 3000 artists in the viz. I wanted a way for you to choose what kind of music you want to see and combing through 3000+ artists to find ones you like seemed like a pretty grueling task. To make it easier on you, I scraped Allmusic.com for genre and style tags to associate with the artists. Since there were a lot of small, obscure, and/or local acts in this dataset, a large percentage of them came back as "Unknown" but there's enough there to get you started to find some festivals to go to. Anyway, here's the viz! 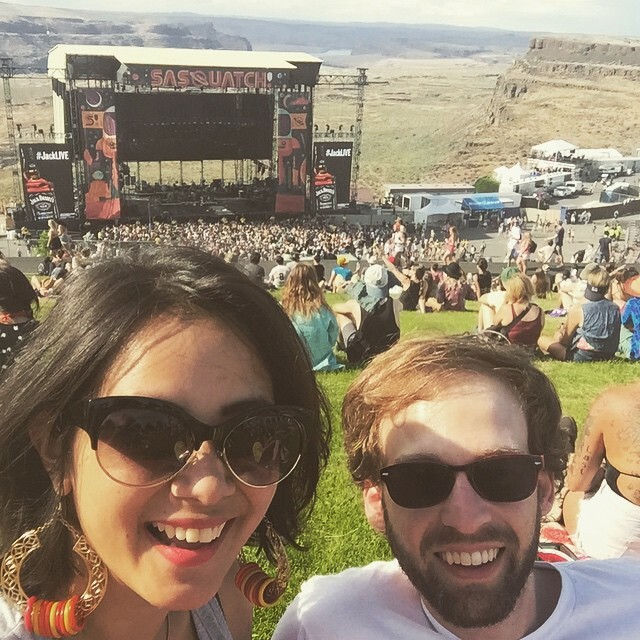 I'm excited to keep up my music festival streak and hope this viz helps you catch the live music bug! Stay tuned to our blog this month to see other awesome travel vizzes.